Manila, Philippines –Opposition Senator Antonio Trillanes IV said on Monday that he will file a plunder case against former Tourism Secretary Wanda Tulfo-Teo and her brothers, Ben and Erwin Tulfo, over the alleged controversial deal to air Department of Tourism ads on their show. 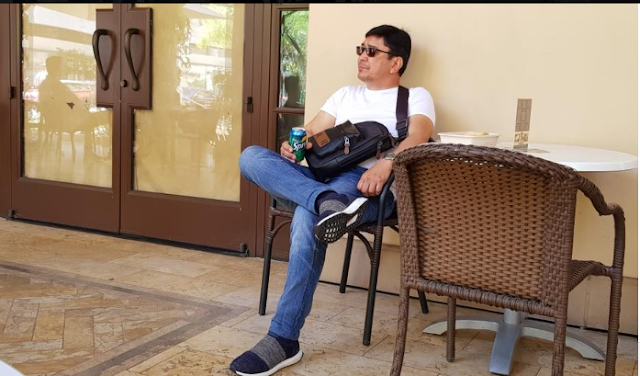 Earlier, one of the Tulfo brothers also said that his company, Bitag Media Unlimited will not return the P60 million they received from DOT as payment. “MATAGAL NA AKONG NAGPIPIGIL!” Ben Tulfo said in a Facebook post last July 15. “Kaliwa’t kanan ang mga paninira laban sa akin at sa kumpanya kong BITAG MEDIA UNLIMITED INC (BMUI).” He added. In a video posted on July 25, the Tulfo brother said that they have nothing to give back to the government. "Sa mga nagsasabing isauli ang pera at hinihintay daw ang 60-M, mamuti na mga mata niyo! Wala kaming isasauli! Sa mga nagsasabing ilegal at nangulimbat kami, e'di sampahan niyo kami ng kaso, tutal nandyan naman ang COA at Ombudsman!" he said. Reportedly, the supposed plan to return the P60 million was announced by Teo’s lawyer Ferndinand Topacio, out of showing good faith. “Dear Yellow Ulalos: Regarding the return of the 60M, in-announce ko lang po yun upon instructions of Sec. Teo and Mr. Ben Tulfo. Kung may problema kayo, kita tayo sa DWIZ at sasamahan ko po kayo kay Ben at hingin ninyo sa kanya ng personal. Game?” Topacio tweeted. Meanwhile, in a statement on Monday, Trillanes said that he plans to charge Tulfo siblings of plunder case over the said advertisement. It was also Trillanes who filed a Senate Resolution no. 726 in May, which pave the way to look into the alleged anomalous P60 million advertisement deal between the DOT and BMUI, that Tulfos own. In the said resolution, Trillanes pointed out the conflict of interest between then DOT Secretary Wanda Teo and her brothers. Ben and Erwin Tulfo co-host the magazine show “Kilos Pronto” run by PTV, where the ads were aired. "Whereas, no proper documentation was made for the aforementioned payments. [PTV] failed to present any Memorandum of Agreement between them and the BMUI. Without the MOA, there is no basis for the computations of the three payments," the resolution read. Due to the absence of documents, doubts surfaced and cast doubts on the legality as well as the validity of payments of the DOT and PTV. "Whereas, there is an immediate need to look into the irregularities in the disposition of DOT's budget and its expenditures in advertising and marketing in order to ensure that government funds are legally and properly allocated, directed and spent towards the sole purpose for which funds were allocated," the resolution further read. The resolution was already referred to the Senate blue ribbon committee for proper handling.